My friend, Mary DeMuth, over at Live Uncaged, writes about…well, she writes about just about anything. I follow her blog on a regular basis because she always has something great to say about words-smithing, about what it means to be a ‘successful’ writer, mother, woman of God and friend. 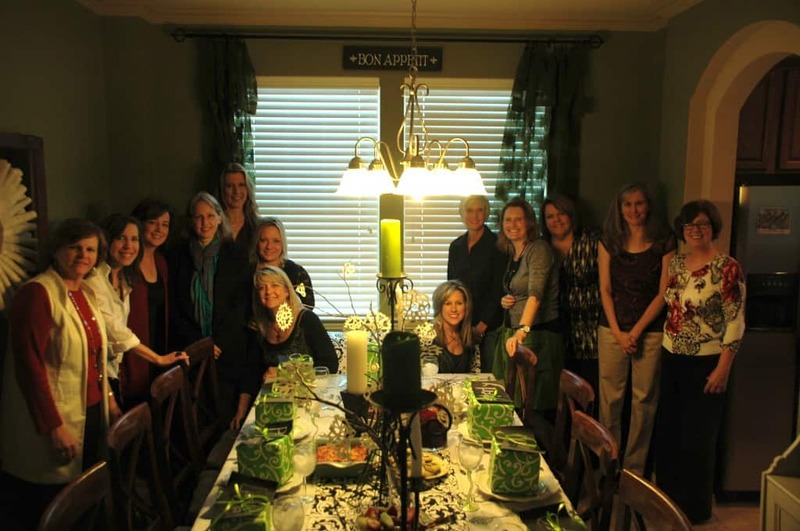 A few days ago, she shared this post with her readers about her annual friendship brunch. If you have read my book, you know that I am a big fan of eating….and also breaking bread with friends. 🙂 When I read about this tradition of hers, I felt compelled to share it with you guys. Enjoy! I don’t remember when I first started this, but I believe I lived in Seattle, which means my friendship brunch started in the roaring Nineties. A friend of mine had created her own yearly brunch with friends, and I had the privilege of being a part. When life moved on, I decided to follow her inspiration. So every year around Christmas time, I invite friends to a brunch. This year was my biggest yet, with 14 guests. I had to add a table onto my table to make everyone fit. But it was worth it. Why? Because there are just so few moments we take these days to celebrate friendship, to ask good questions, and to share our hearts. I started by telling everyone how I knew each person. (I was the common denominator of all the women, so it was fun to share how I met each one.) It was interesting to see how the stories interconnected. Some of us went to the same church. Some of us met when my husband was in seminary. Several of the friends had actually visited us when we lived in France. All of the women have prayed for our family in different, cool ways. Mine? I’ve seen how this year has…why don’t you jump on over to www.marydemuth.com to read the rest….I know you’ll enjoy it!